Maiella is a high tableland on the eastern side of the Apennines in central Italy. Recently I read a book about it that brought back a few memories. I made three visits there with Edita to climb Monte Amaro and its surrounding peaks from various directions. 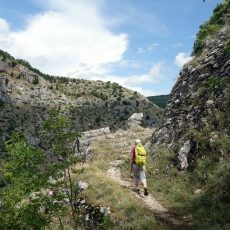 Sirente-Velino has only regional park status, but don’t let this put you off. 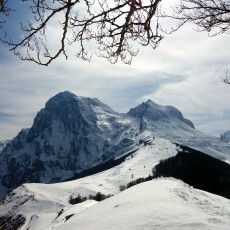 It’s easily the equal of the three surrounding massifs with national park status. There is great variety to be found here, from emerald-green paradise, to bare moonlike landscapes and dramatic cliff faces. 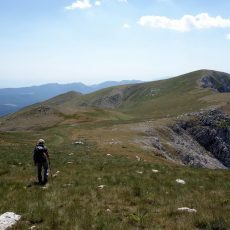 Abruzzo National Park is the wildlife capital of the Apennines. 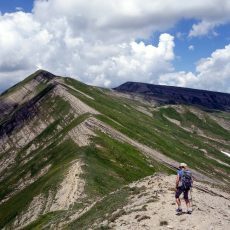 Its peaks are slightly lower in altitude and are aproned in forest which are a sanctuary for bears, wolves, lynx, chamois and deer. 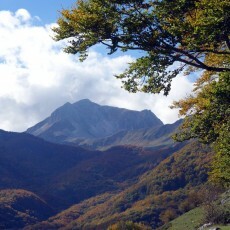 It is particularly vibrant in autumn, when the peaks rise in a rainbow of colours. 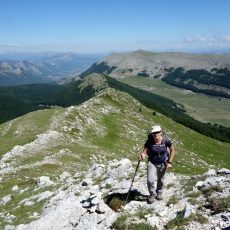 Since climbing Monte Marsicano from the south on one of our first visits to Abruzzo National Park, we’d had in mind to climb the mountain via a longer route from the more remote northern side. This route took in no fewer than 8 Apennine 2,000ers in a single day. 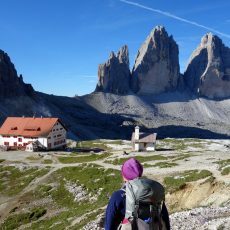 Maiella is Italy’s equivalent of the Cairngorms, but at a much higher altitude. It’s a huge plateau of multiple summits linked by broad ridges, and divided by deep, mouth-watering gorges. 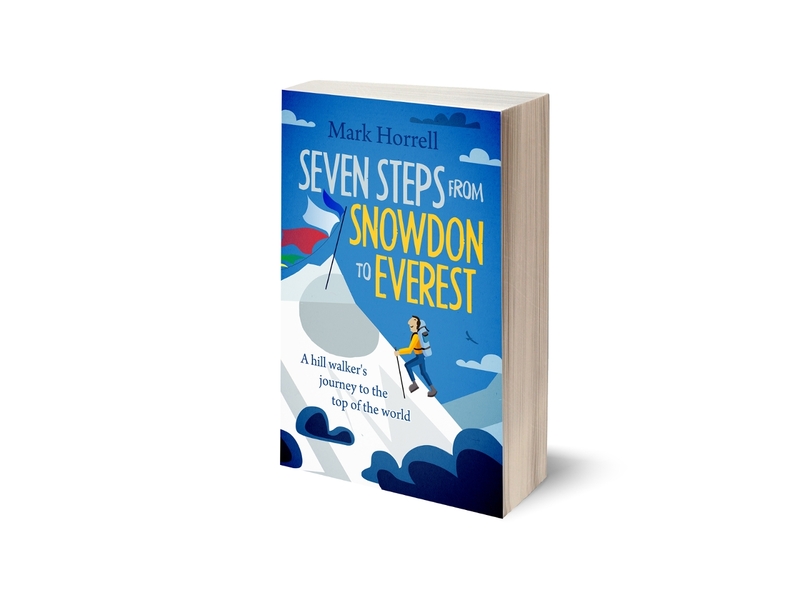 You can walk for miles without dropping below 2,000m. 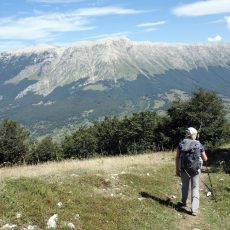 Without doubt the Gran Sasso massif is the crowning glory of the Apennines. 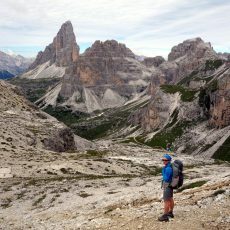 It contains its highest and most dramatic peaks, limestone cathedrals, ruled over by 2,912m Corno Grande, the highest mountain in the Apennines. It’s been four months since we moved back to London, and we’d not been out into the UK hills. 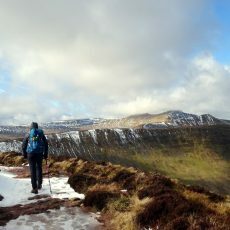 It takes effort to get out of London for a weekend of hill walking, but the effort is always worth it, and the Brecon Beacons are not so far away.